The EcoSmart™ Fire is an Australian innovation - an environmentally friendly open fireplace. 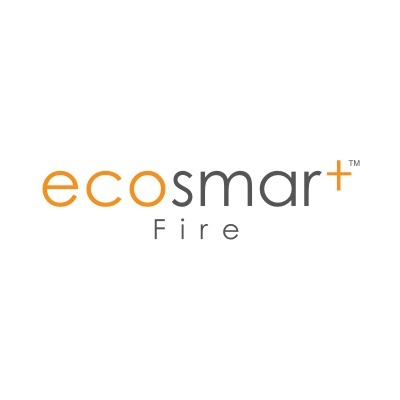 The EcoSmart™ Fire is flue less and does not require any installation or utility connection for fuel supply, which makes it ideal for just about any architectural environment. Fuelled by a renewable modern energy (Denatured Ethanol), it burns clean and is virtually maintenance free. Featuring remarkable design flexibility, the simplicity of the EcoSmart™ burner and the modular nature of its design grants consumers with significant versatility and choice. While the traditional open fireplace is appealing and highly sought after, it is incompatible with modern housing and contemporary living standards and lacks the necessary environmental care, efficiency and design flexibility that consumers are looking for. The EcoSmart™ Fire presents a solution to these problems. The EcoSmart™ Fire redefines the fireplace, and reinstates it as the central focus of the modern living space. Installed in a loft, studio, apartment, terrace house or freestanding home, the EcoSmart™ Fire provides the ‘primal’ warmth and comfort of fire while enhancing the contemporary expectation of today’s living environments. Every single part of the EcoSmart™ Burner is made of stainless steel – it looks great, is very strong and will last you a lifetime. The predominant sheet metal design is computer cut and folded for accurate and easy assembly. This manufacturing technology guarantees each product is the same quality. All stainless steel parts of the EcoSmart™ Fire are manufactured in Australia by an ISO 9001 accredited manufacturer (AS/NZ/S ISO 9001:2000). All stone, joinery, glass and other material that make up each model are also manufactured by very reputable and successful companies who focus on quality and consistency.